ORLANDO, Fla. (July 16, 2018) – Valensa International applauds the new rule from the Florida Department of Agriculture and Consumer Services (FDACS), Division of Plant Industry, which requires all landowners and harvesters of saw palmetto berries to have a Native Plant Harvesting Permit as of July 17, 2018. Valensa International, based in Florida, is a global leader in driving responsible and sustainable harvesting of saw palmetto, McCarty said. Hailed as a “Florida Treasure,” Saw Palmetto (Serenoa repens) palms are native to the southeast United States with the vast majority of commercially-harvested berries coming from Florida. The clinical proven power of Saw Palmetto lies in the full spectrum Saw Palmetto oil with 85% to 90% total fatty acids extracted from ripened berries at a dose of 320 mg per day. The oil of saw palmetto berries is an invaluable resource for aging men to help control frequent urination associated with an enlarged prostate or Benign Prostatic Hyperplasia (BPH). The oil extract is sold as a prescription in Europe and as a dietary supplement in the United States. “We believe this new rule is an important step that will remove the poaching from the industry and allow legitimate harvesters to sustainably pick the highest quality berries,” McCarty said. “This will insure a bright future for the ecosystem, landowners, harvesters, producers and millions of people who rely the health benefits of saw palmetto. 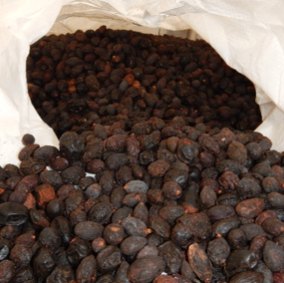 “We look forward to additional efforts by the state of Florida to curb the premature and unsustainable harvesting of unripe green berries for saw palmetto berry powder which has no evidence of effectiveness,” McCarty added. Valensa recently joined the United States Pharmacopeia (USP) Dietary Ingredient Verification Program which has a published monograph for saw palmetto oil extract, and will participate on a panel on November 8th at Supply Side West in Las Vegas to continue the discussion on sustainable, ethical harvesting and extraction of wildcrafted saw palmetto berries.